KEN YUSZKUS/Staff photo. 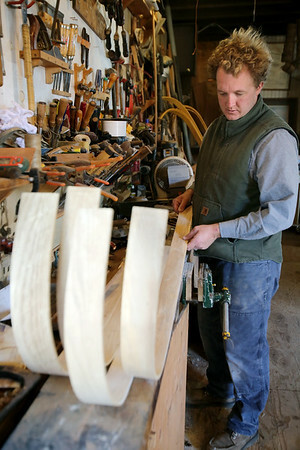 Doug Park readies bent wood pieces for sanding used to make his toboggans. 10/15/15.